On Tuesday, December 13, 2016, Jenny Tierney, Secretary for the Rotary Club of Iqaluit, gave a presentation to Mackenzie Community School students in Deep River and local Rotarians regarding the Iqaluit Club, the Christmas Hamper project and life in Iqaluit. Following the presentation, the Rotary Club of Petawawa and the Rotary Club of North Renfrew presented Jenny with cheques of $500 each towards the Christmas Hamper project. Additionally banners were exchanged with the Mackenzie Community School Interact Club and a certificate of appreciation was presented to them for their fundraising efforts towards the Christmas Hamper project. The Iqaluit Rotary Club extends a big thank you to the Interact Club, the North Renfrew Club and the Petawawa Club for their very generous donations. Thank you to the Mackenzie Community School Interact Club for your generous support of the Rotary Club of Iqaluit Community Christmas Hampers Program! On Tuesday, July 5, 2016, Rotary Club of Iqaluit member Terry Forth and his wife Mehrun attended the first meeting of the new Rotary year at the Montreal Lakeshore Rotary Club. 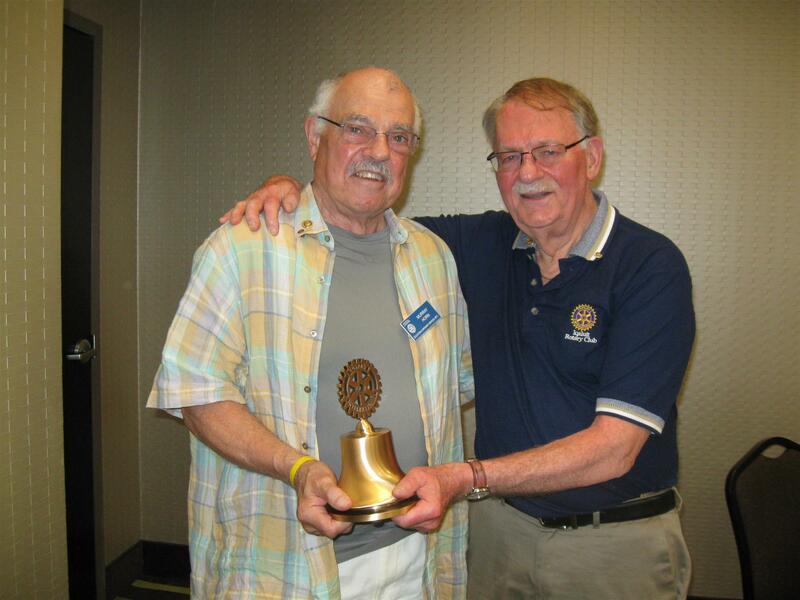 At the meeting, Terry presented Past President Murray Horn with his Bell on behalf of Past President Adam Fischer. Murray was a member of the Rotary Club of Iqaluit before moving to Montreal. He has taken on the chair of the Youth Committee for the 2016-17 year at his new Club. 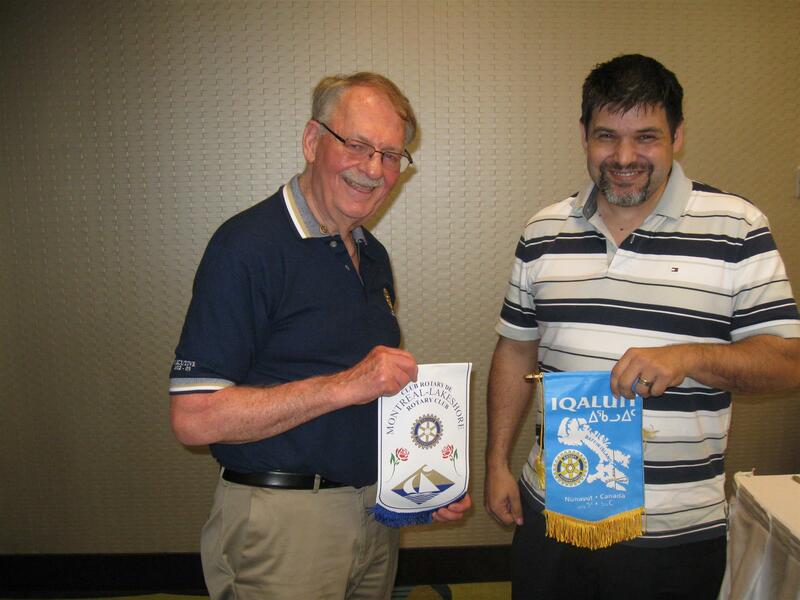 In addition to presenting Murray with his Bell, Terry exchanged Rotary banners with the Montreal Lakeshore President - JP Mayer. Rotarians Bruce McRae, Geoffrey Oliver and Cedric Rusike coaching students at Inuksuk High School in Iqaluit in the entrepreneurship class.